Hudson Allergy (New York) - Book Appointment Online! 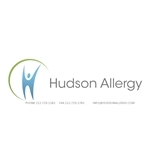 Hudson Allergy is New York City’s premier private allergy practice. Founded and led by two Columbia University trained physicians, Hudson Allergy provides patients with world-class, expert medical care in a comfortable and inviting environment in Manhattan. We treat a variety of allergy and immunology diseases. clear, to the point, and ON TIME! great pediatric allergist! Great as always. Brief wait time, great consult, and allergies sorted for another season. She's very professional, attentive and knows her stuff. One of the best doctors I’ve seen. Would highly recommend.